Presented by National Geographic, Asteroid: Mission Extreme immerses audiences in a full-dome, surround sound environment and takes them on an epic journey to discover how asteroids are both a danger and an opportunity. The danger lies in the possibility of a cataclysmic collision with Earth; the opportunity is the fascinating possibility that asteroids could be stepping-stones to other worlds – veritable way stations in space that could enable us to cross the Solar System. As with any venture into outer space, the challenges involved with making this idea a reality are enormous; however, a mission this extreme could ultimately teach us how to protect our planet and successfully inhabit other worlds. 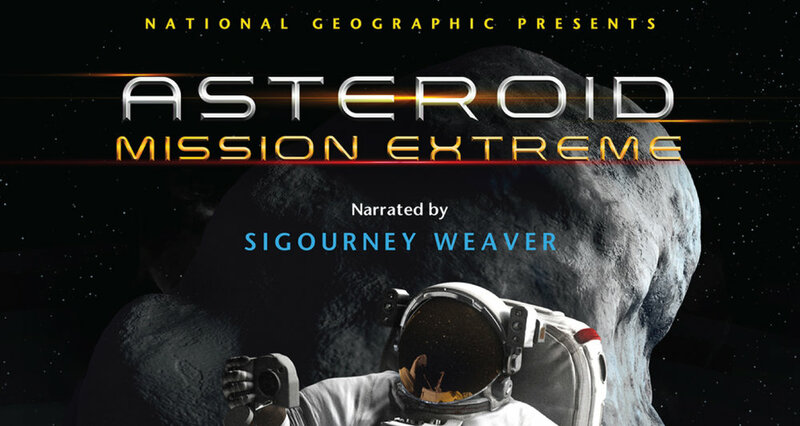 Asteroid: Mission Extreme is produced by National Geographic and Sky-Skan, and narrated by Sigourney Weaver. This 25-minute show is suitable for general audiences and school groups.